Worried My sister had a miscarriage at at 19 weeks and mom has shut everyone out ? Pregnancy loss Please note this blog post has sensitive news on baby loss if this may offend please press your back button now. As a family you will go through A mixed amount of emotions.Don’t bottle up your feelings, this is a time when a family can grow even closer. offering your partner a shoulder to cry will help both partners become stronger as a couple and help to cope with grief. if you feel like crying do not be embarassed letting out all those built up tears it is better to cry than to hold back and become withdrawn. You all may go off your food and not want to drink even.Do try to eat a little throughout the day. Especially if you are diabetic.Rest when you can so you can cope the next day. Jesus is “the way” “the truth” and “the life” and left these words to comfort any one who believes in him”Come unto me, all ye that labour and are heavy laden, and I will give you REST.” ” Take my yoke upon you, and learn of me; for I am meek and lowly in heart: and ye shall find REST unto your souls”. Some religions do not believe children so young can be in heaven but in the bible Jesus words said “suffer little children to come unto me for as such is the Kindom of heaven”.we are here at the end of the phone to offer support if you have suffered the loss of a little one and need someone other than family to talk to. Article written by S Sudlow. Extended family can include grandparents and best friends of the grieving parents. 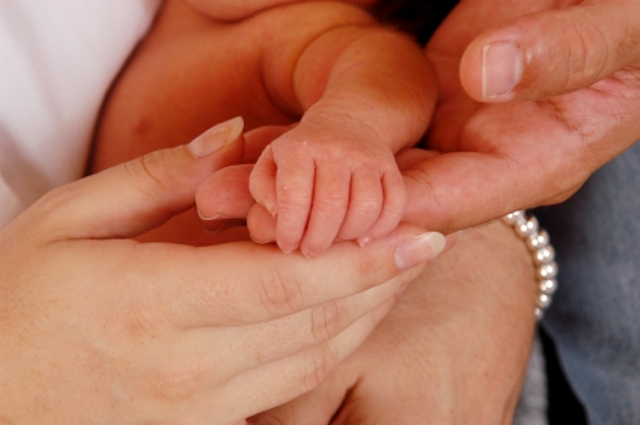 Parents will be grieving and will feel numb and overwhelmed at the loss of a baby. During the grieving process offer to help an hand with collecting other children from school, doing shopping, running errands answering phone calls. Give plenty of cuddles but be patient if arguments happen, as the stress of it all can be unbearable to parents coping with the loss of an infant in particular. One person needs to take care of the funeral but if the parents are not up to it a family member who is strong enough should take over this role. Involve the parents every step of the way making sure their requirements are noted down and given to the relevant person. For example no flowers to be sent to the family or please send and money donations to the local hospital, special care baby unit. When one person takes charge support them so the pressure is taken off the parents and make sure too many people do not have their say that causes even more arguments. Let the parents have as much peace and quiet when they are home from the hospital as they can get. Take control over answering the door arranging flowers in vases etc but make sure cards are only opened by the parents when they feel up to it. Do not be tempted to clear the baby’s room unless its at the parents consent . Its all part of the grieving process for parents, coming to terms with the fact that the baby is gone and will not be coming home and finally saying their goodbyes. Finally take it easy on your self too if its you that carries a lot of the strain, try to relax and talk about your feelings with another adult family member. You need to be there for the family too ,so make sure you eat well, drink plenty and take plenty of rest.